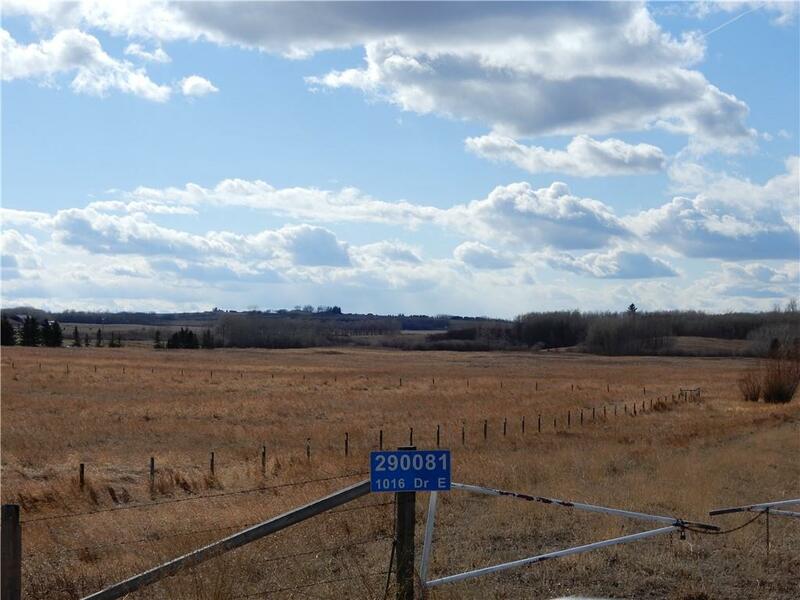 Wonderfully close to Calgary (5 minutes) and south to Okotoks on 32 SR. E. Mountain views for the property and clusters of trees in the back portion. With a gentle slope this land is a great location for a home, maybe a sub-division or maybe developable for something special 26 acres of land, let our imagination go with it. Highway 2a access and also highway #2. Cold mix pavement on the road adjacent to the land's access. Fenced on 3 sides and natural trees at the back side of the land. The road access goes almost to the very back of the land. The wells are good in the area.